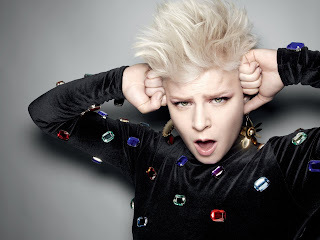 SnapCacklePop: Robyn unleashes new single that will set you free..! Robyn unleashes new single that will set you free..! Swedish pop singer Robyn had been silent for a while however has had a triumphant return previous single Love Is Free with La Bagatelle Magique. The duo has just dropped her new pulsating dance beat anthem named Set Me Free that certainly is a dance floor anthem with deep synth beats, trumpets and charging chorus. Announcing the new single on Facebook, the singer says the track is about "being afraid and trying not to be afraid of being afraid"
Check it out below and get ready to start dancing..!